Impaired driving isn’t simply drunk driving, but also refers to drowsy and drugged driving. Each year, more than 26,000 people are arrested for driving under the influence (DUI) in Colorado, and more than 150 people are killed in alcohol-related auto accidents — more than one-third of all traffic fatalities in the state, according to the Colorado Department of Transportation (CDOT). For more information, visit https://drugcrime-law.com/manufacturing/. Colorado law prohibits a person from driving a vehicle while under the influence of alcohol, or while the person’s ability to drive is impaired by alcohol. In Colorado, those driving with a blood alcohol concentration (BAC) of .08 or higher are considered to be guilty of driving under the influence (DUI), and no additional proof of impairment is necessary. A person’s blood-alcohol level is affected by a variety of factors, including weight, gender, metabolism, body fat percentage, medication, alcohol consumed, and time. Even one drink has been shown to impair vision and cause a driver to become distracted. 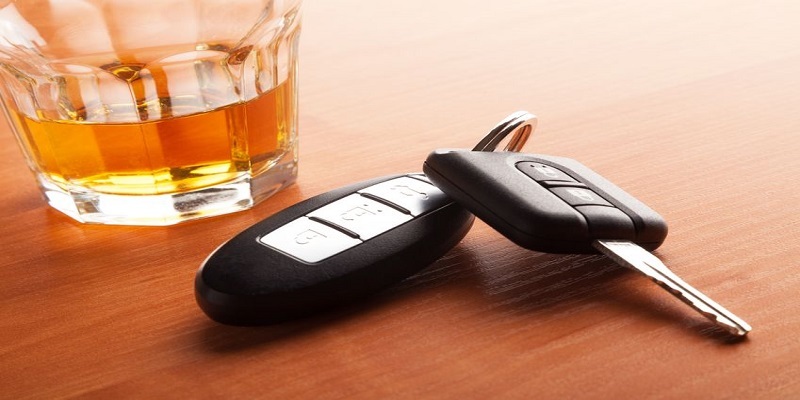 There’s no reason anyone should drive a car after drinking. Under Colorado’s implied consent law, every driver is presumed to have agreed to take a blood, breath, saliva, or urine test when requested to do so by a law enforcement officer who has probable cause to believe the person is driving under the influence. Refusal to take such a test is admissible in court and is a basis for revocation of a driver’s license. Although drinking while driving is a very serious problem, another deadly habit is proving to be even more widespread: drowsy driving. In 2014, more than 33 percent of all U.S. drivers fell asleep behind the wheel of a car, and there are 42 drowsy drivers for every drunk driver on the road today. Despite these statistics, Colorado does not currently have a law on the books that specifically addresses drowsy driving. Drowsy driving is operating a motor vehicle while being cognitively impaired by lack of sleep. According to the U.S. Centers for Disease Control and Prevention (CDC), drivers who get less than six hours of sleep are more likely to pay less attention to the road, react more slowly when forced to brake suddenly, and make bad driving decisions that may lead to an accident. According to the National Sleep Foundation, motorists who frequently drive drowsy include truck operators, truckers, and bus drivers, as well as shift workers, those suffering from untreated sleep disorders, and those who drive while taking sleep-inducing medications. Despite the fact that recreational marijuana is now legal in Colorado, drugged driving is not. However, determining whether or not a driver is high on pot is definitely not as easy as testing someone for alcohol impairment. While blood-alcohol content can be reliably tested during a traffic stop with a Breathalyzer, THC levels must be measured from blood or urine samples taken hours after an arrest. The results of a blood test could take two to six weeks to come back, and urine tests may still return a positive result days or even weeks after someone has actually smoked. Colorado law enforcement officers are trained in the detection of impairment by alcohol and drugs, and many are specially trained Drug Recognition Experts (DRE). These officers have the ability to detect physical signs of drug impairment, and are viewed as one of the most effective law enforcement tools in efforts to reduce drugged driving in the state. Injured In An Accident Caused By An Impaired Driver? If you or a loved one has been injured in an accident involving an impaired motorist, the fastest way to find out if you have a case is to schedule a free consultation with me. At the Law Offices of Daniel R. Rosen, our goal is to get you through your accident and injury claim as quickly and smoothly as we can. I’ve earned over $100 million in settlements for my clients and personally handle every single case that comes across my desk. I can get you the settlement you deserve, and you won’t pay a penny until I come through for you. Fill out this form to tell me about your accident and schedule a free consultation.